What is the Tinker|Bristol business model? Tinker Bristol will be a unique incubator/makerspace hybrid, organized as a nonprofit (501(c) 3) with a full-time shop manager and director, a board of directors and an advisory council representing diverse disciplines and expertise. Initial capitalization is being funded through grants, sponsorships and philanthropy. The operation will be self-sustaining long term with tenant leases, membership income, event fees, and business service and licensing charges. The facility is projected to become cash-flow positive in 24-36 months. Why combine an Incubator with a Makerspace? Research has shown that Business Incubators are diversifying their functionality to broaden their impact, while Makerspaces are harnessing their commercial potential to become self-sustaining. By imbedding a Manufacturing Incubator in the collaborative culture of a Makerspace from day one, Tinker|Bristol provides cross-functional capabilities, which enhance offerings for members and tenants and increases its income potential for long term sustainability. This hybrid business model distinguishes Tinker|Bristol from innovation centers that are either exclusively business incubators or members-only workshops. 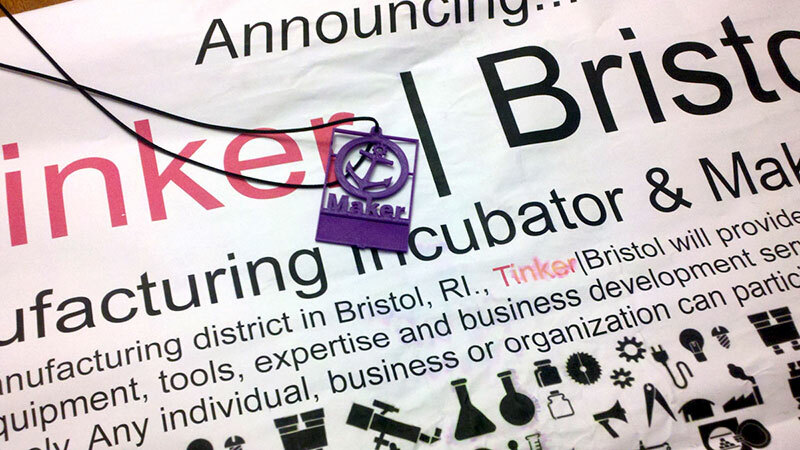 How is Tinker|Bristol different from traditional incubators? Although trends have focused on technological innovations, there has been little innovation in how to facilitate the transfer of inventions from the garage or classroom to commercial success. Unlike traditional business incubation, Tinker|Bristol is pioneering a new approach by tapping into the makerspace culture of collaboration. Room for incubated companies to grow in flexible manufacturing space immediately adjacent to Tinker|Bristol as well as in surplus space available throughout the Bristol Industrial Park. Located in the heart of downtown Bristol, not isolated in a technology park or university campus. 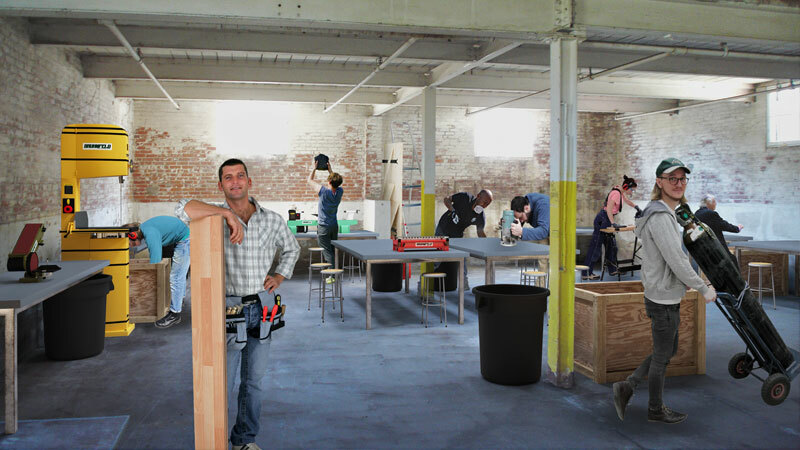 Why Would a Business Want to Join a Makerspace? With 12,400 sf of commercial grade Manufacturing Equipment, Rapid Prototyping, and R&D tools at your disposal and Monthly Business membership ‘seats’ starting at $150/month you can make your R&D and Development funds go further and your process go faster. Access to much more equipment than most small businesses can normally afford and the ability to be part of a community of businesses, entrepreneurs, manufacturers, artists and the like will help your company grow and prosper. Each ‘seat’ rented gets anyone (once trained on Tinker|Bristol safety procedures!) in your company, at any given time – amount of persons based on number of seats, access to all that Tinker|Bristol offers. If your business is looking to really grow and take your operations to the next level then you should look at joining our Incubator program as well! How will Tinker|Bristol handle intellectual property and sensitive business information? The collaborative environment is intended to accelerate innovation and product development, not undermine it. Tinker|Bristol will adhere to policies and practices tailored to the privacy needs of each user. Intellectual property, patents and concepts remain the property of the inventor/originator at all times. Both makerspace members and incubator tenants will agree to an NDNC-type agreement not to steal, misuse, sell or disclose the designs, concepts or engineering of others. Members will have the ability to book private time in specific work areas or sections of the facility at variable peak and off-peak rates. East Bay’s concentrated marine trades and advanced composites industries, serving defense and aviation as well as art, offer a fertile environment for piloting Tinker|Bristol, which is designed to be a scalable, replicable proof of concept for stimulating grassroots manufacturing and applied product development in Rhode Island. Providing a streamlined pathway from R+D to the marketplace, the Tinker project aligns with statewide initiatives to accelerate manufacturing innovation, support small businesses and create jobs. Tinker|Bristol responds to a critical need that has been identified both locally and nationally, which is: sustainable economies depend on innovation and entrepreneurship. By sharing equipment, new technologies, services and training in a collaborative environment, Tinker|Bristol will offer entrepreneurs and businesses a more streamlined pathway from R+D to the marketplace. Rhode Island’s storied manufacturing industries are in crisis. Today Rhode Island is 4th in the nation in lost manufacturing jobs; 48th in both short- and long-term job growth; 47th in unemployment; and 25th in innovation capacity. Tinker|Bristol’s unique multi-disciplinary hybrid business model will offer the ability to engage a broad network of manufacturing expertise to help advance applied product development in Rhode Island. Small companies are the growth engines of Rhode Island’s economy. There are 191 registered manufacturers in Bristol and Newport counties, of which 150 employ less then 20 people each. History proves that the East Bay has the natural resources, trade skills, and home-grown talent to successfully drive a manufacturing incubator and makerspace. Tinker|Bristol reflects the maritime culture, boat-building heritage, and the “made with skilled hands” values of those who have made their homes on the eastern shore of Narragansett Bay. Beginning in 1836 the Bristol Steam Mill Company, Herreshoff Manufacturing Company, and the National India Rubber Company made the East Bay one of the industrial innovation centers of New England. Exploiting new technologies and processes in an historic manufacturing space, Tinker ushers in Bristol’s newest Industrial Revolution. Tinker|Bristol is committed to helping Bristol create jobs and grow businesses. Famous for being the home of the oldest Fourth of July celebration in America, Bristol is justly proud of its heritage, cultural life and welcoming neighborhoods. Tinker|Bristol can play an important role in stimulating economic development in Bristol’s historic manufacturing district around Wood and Franklin Streets, where, during World War II, the National Rubber Company’s Cable and Wire Division employed half the population of Bristol. Located equidistant between Providence and Newport, the Bristol Industrial Park is accessible by public bus routes and just a few blocks away from the densely populated town center. Increasingly innovators want to locate where the environment fosters invention and cross-disciplinary collaboration, that is, in the heart of downtowns. Under-utilized urban manufacturing buildings like the Bristol Industrial Park bring innovation back to Main Street, within walking distance of schools, restaurants, shops and cultural attractions—all fodder for the development of a thriving economy. Tinker|Bristol will facilitate collaboration, innovation, job creation and business growth. 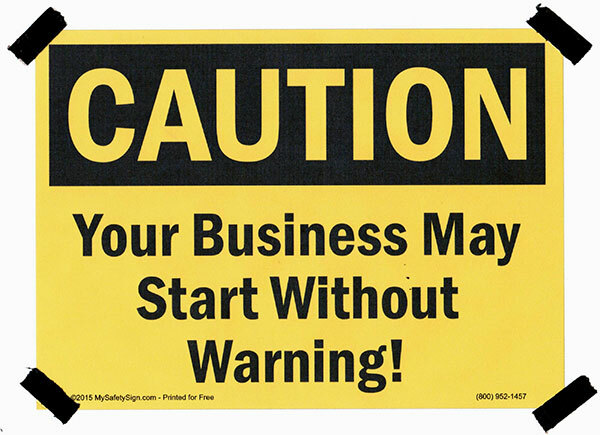 The goal is to collaborate with businesses, not compete with them, by providing existing companies equipment and services they could not otherwise afford and by helping startups, which are not yet established, get on their feet. Tinker|Bristol will build a network of local partners (service providers, suppliers & vendors, outlets to sell new products, professional services, etc.,) which will help businesses build a concentrated customer-base. New companies emerging from Tinker|Bristol can move on to available space in the Bristol Industrial Park or other industrial centers throughout Rhode Island. How can Tinker|Bristol serve manufacturers? Following an integrative design process, Tinker|Bristol is being developed collaboratively, in consultation with its stakeholders—entrepreneurs, trades people, start-ups, existing businesses, inventors and makers of all stripes—as well as a broad network of leaders in manufacturing, economic development, education and the Maker Movement. "Rhode Island General Treasurer Seth Magaziner recognized Bristol and the Bristol Industrial Park — former home to the National Rubber Company and Kaiser Aluminum — for its historic significance. 'The East Bay has been a hub for manufacturing,' Mr. Magaziner said. 'This is not new. It’s a continuation of a rich tradition.' While the idea of manufacturing isn’t new, the opportunities presented with the incubator and maker space is, he said, the first of its kind in Rhode Island." “…we are committed to supporting you and working with you. This is a real grassroots effort to rebuild Rhode Island’s economy from the bottom up. We were once a global manufacturer. Our manufacturing industry has taken a serious hit here in Rhode Island and this is going to rebuild it, in areas of Rhode Island’s distinct advantages."